Dog boarding options in Germantown and Collierville just got so much better! 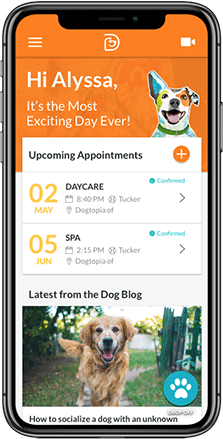 Dogtopia of Carriage Crossing provides overnight boarding and extended boarding for those times when you can’t be with your pup. Unlike conventional boarding options, we’ll be your furry family member’s home away from home, whenever you need us. 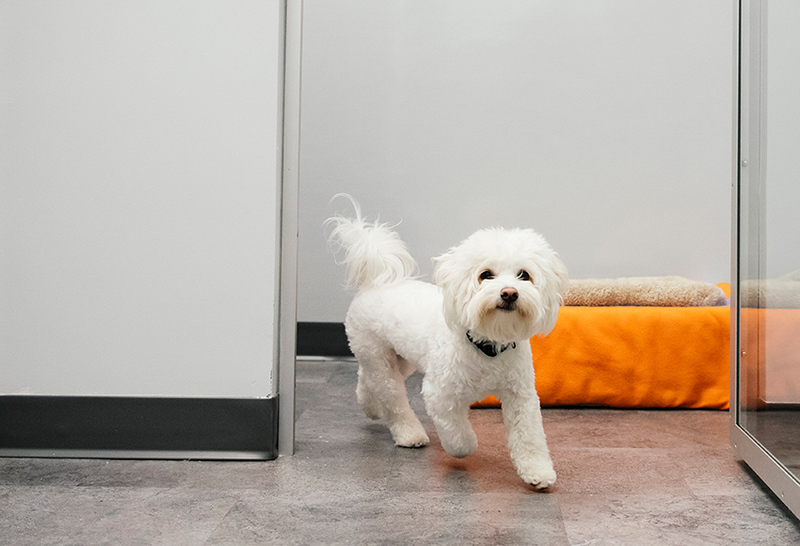 WHAT SETS OUR DOG BOARDING APART? 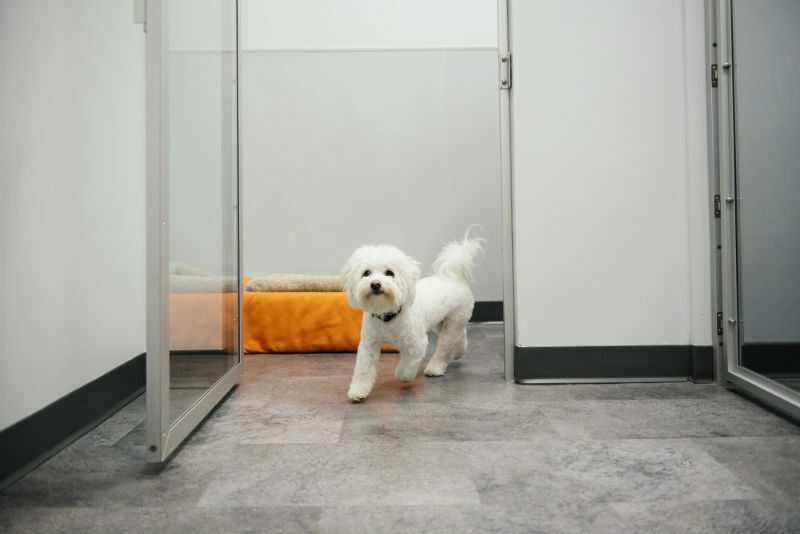 Many boarding facilities spend a lot of time talking about the size and features of their kennels. That’s because when dogs stay there, they are cooped up most the time. At Dogtopia of Carriage Crossing, we prefer that our doggie guests spend fun days filled with playing and socializing. We offer 10 hours of playtime, unlike the limited fun time at other boarding facilities. Our dogs burn off the energy and stress that can come with being away from home, and they sleep soundly in comfortable, home-style crates. They make new friends and get plenty of exercise during their time away from home. Our agenda includes open play from 7am until noon, a nap and room cleanup from 12-2pm, and more open play until 7pm. Pet parents can choose from feeding times of 6am, noon, and/or 7pm. A morning potty break is given at 6am and a final evening potty break is given between 8-9pm. Dogs will sleep in the same room that they played in during the day, as a familiar space leads to more restful sleep. We do offer a few larger suites if preferred. 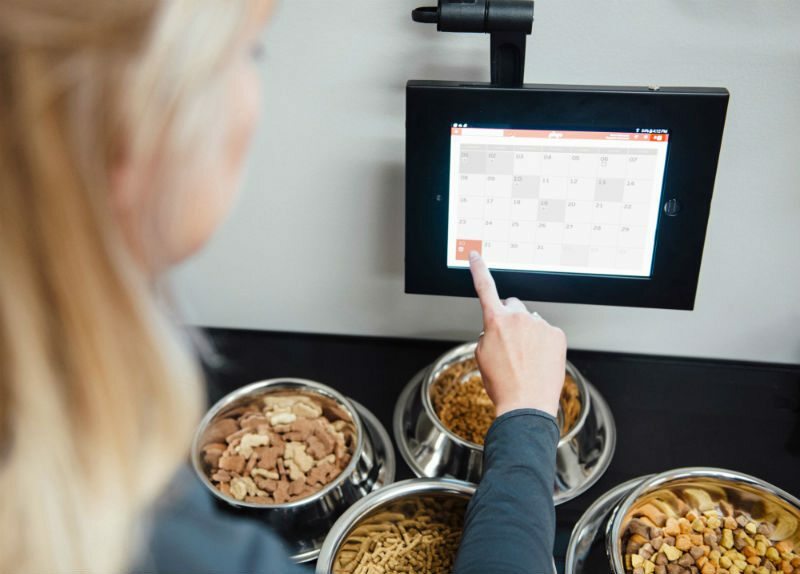 You can bring along your dog’s bedding and food if you like, or choose from our wide selection of healthy food services. We take all the necessary steps to make sure that your dog is happy, healthy, and safe when in our care. Just because you’re separated doesn’t mean you can’t check in and see how your dog is doing. We offer live webcam access so you can watch your dog during the day using a desktop or by downloading our mobile app, which is available on both Apple and Android devices. Our team is dedicated to keeping your dog safe and happy during their stay with us. 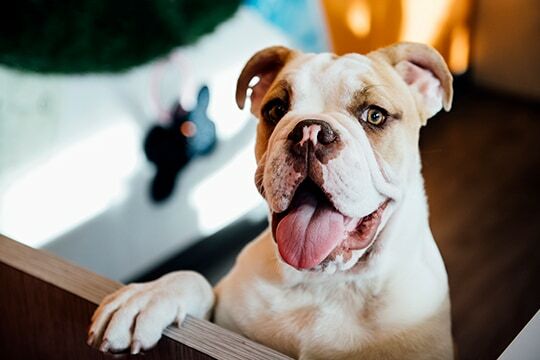 We conduct an evaluation with all new dogs that come to Dogtopia Carriage Crossing to determine if they are ready to be in our open-play atmosphere. Book your meet & greet now to get started. We require all dogs coming to our facility be current with their vaccinations and booster shots. They should also be free of ticks, fleas and any contagious disease. For puppies, we require them to be at least three months old before they can use our boarding services. All dogs that are seven months or older are required to be neutered or spayed. If you are planning to leave your dog with us overnight or for an extended stay, we recommend that you bring them in for at least three days of daycare prior to your trip. 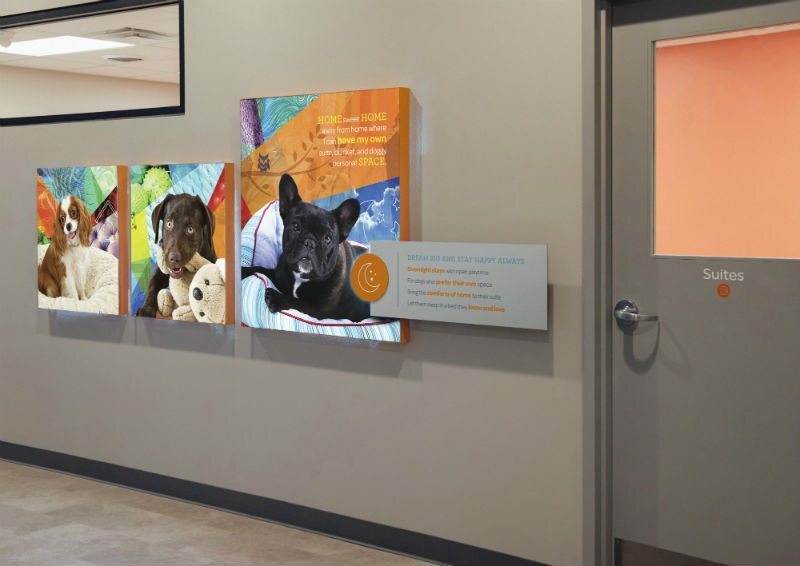 This way your dog can become familiar with our facility, staff and the other dogs. This will also teach your dog that Dogtopia is only a temporary place to stay for them, and you will always return to bring them home. Why not make your dog’s boarding stay extra special with some pampering? 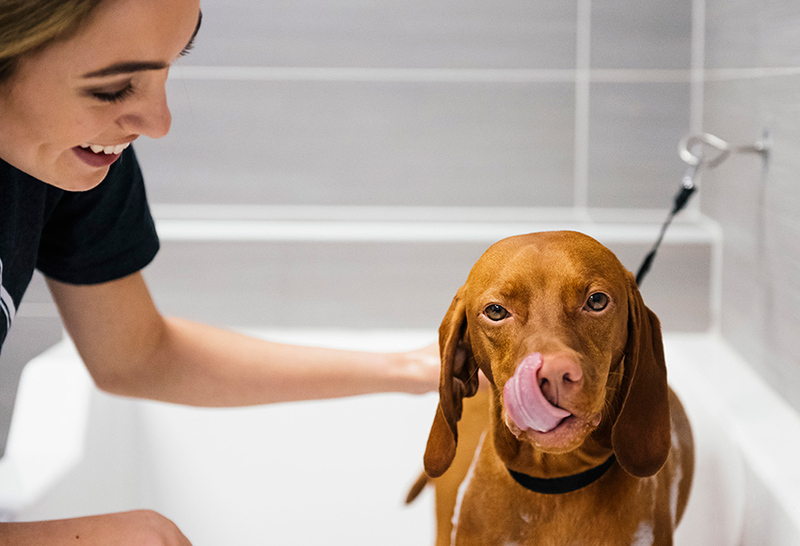 Our spa packages are available to clean and groom your dog during their time with us. We offer nail trimming, ear cleaning, teeth brushing, baths and many other treatments. Our doggie spa services can also be booked separately and individually based on your requirements. How much open-play is offered? Is playtime impacted by weather? Is there always a highly trained person watching my dog play and managing the pack? What’s the ratio of employees to dogs? 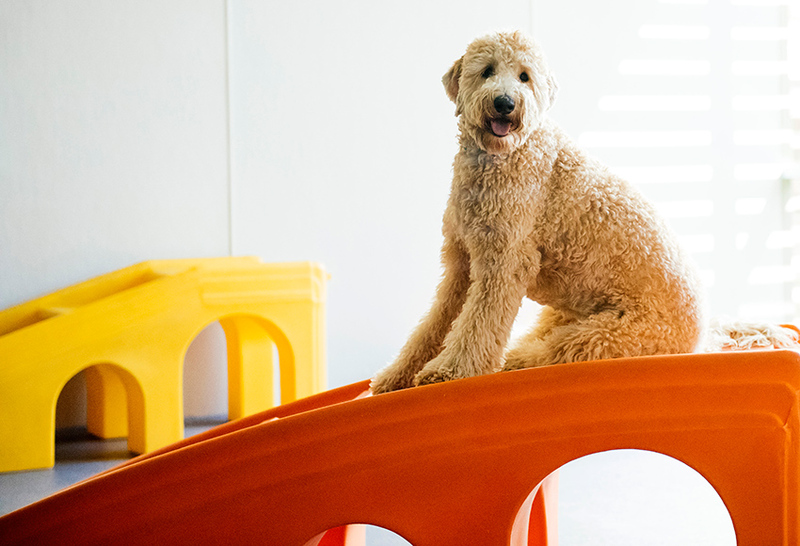 Are there webcams in all the play spaces that pet parents can access? Are there upcharges for potty breaks, play breaks, early drop-off, late pickup, etc.? Are dog-safe cleaning products and processes used exclusively? At Dogtopia of Carriage Crossing, we avoid the nickel-and-dime fees of other boarding facilities in the area. We offer outstanding, affordable value. Our friendly and knowledgeable team will work closely with you to determine the best boarding option suited to both you and your dog. Space for overnight boarding is limited, so we recommend booking in advance.